Getting from the Broughtons to Port Hardy requires crossing Queen Charlotte Strait. Thankfully, the weather today cooperated, and it was calm all day long. I left Jennis Bay around 11:00. Wells Passage was surprisingly rough, due to the tidal currents opposing about 10 knots of wind. I spotted a humpback whale, the first of the trip, and watched it for 10 minutes or so before continuing on. Once out of Wells Passage the water smoothed out nicely and I made good time across the Strait. First stop in Port Hardy was the Quarterdeck fuel dock, where I bought 176.2 liters of gas (at $1.36/liter). I continue to get excellent fuel economy—just barely below 4 nm/g so far. 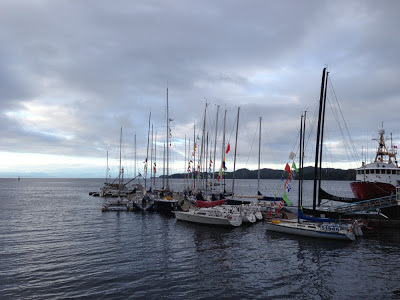 The Van Isle 360 sailboat race is in Port Hardy. 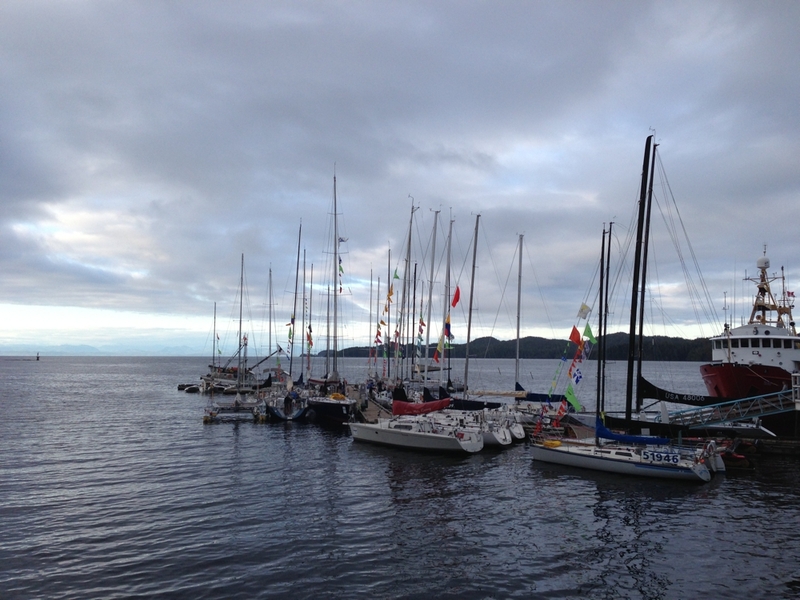 Some 40 boats, some quite exotic looking, are racing around Vancouver Island. They take up the entire City Dock, and some of the Quarterdeck Marina and the other municipal floats. They’ll surely beat me around the island! Tomorrow is a work day for me, and then I’ll depart either tomorrow evening or Saturday morning, weather permitting. I’m excited to start seeing new territory and exploring the “wild side” of Vancouver Island! Really enjoy your posts Sam. 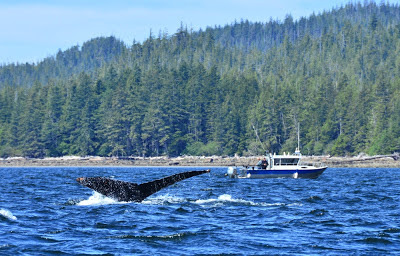 Thanks to you I have put owning a boat and cruising the inside passage on my bucket list! Request: if you see a Nordic or American Tugs take a picture please.